Dogs are our natural companions and have the ability to connect with children in unique and valuable ways. 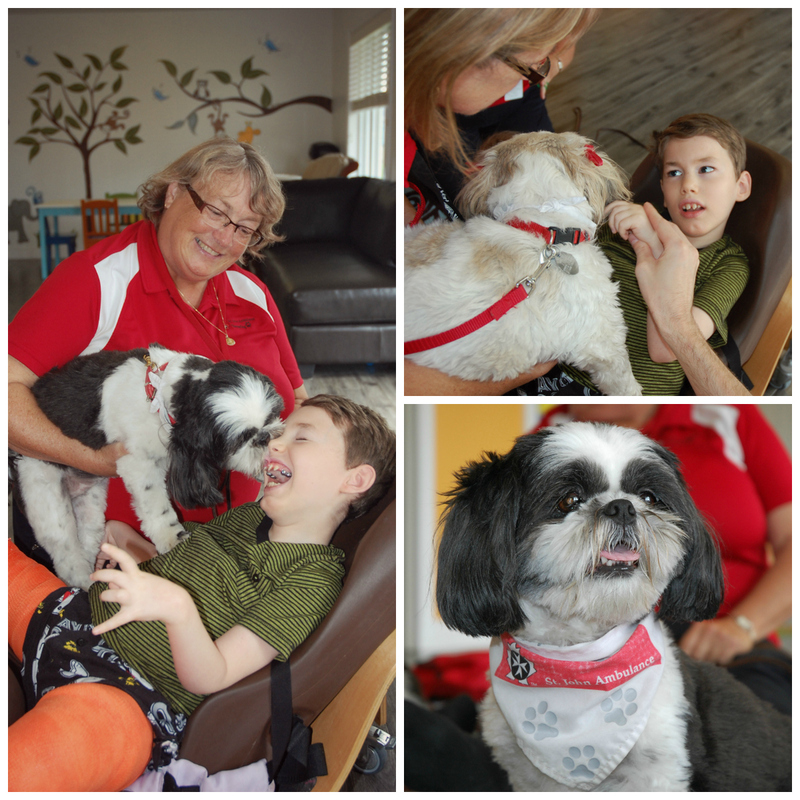 Therapy dogs offer many benefits to children, and especially to children with special needs. Every child receives positive interaction and unconditional acceptance from a therapy dog. The St.John Ambulance Therapy Dog program brings comfort and companionship to the people in our community who appreciate the unconditional love of a dog. 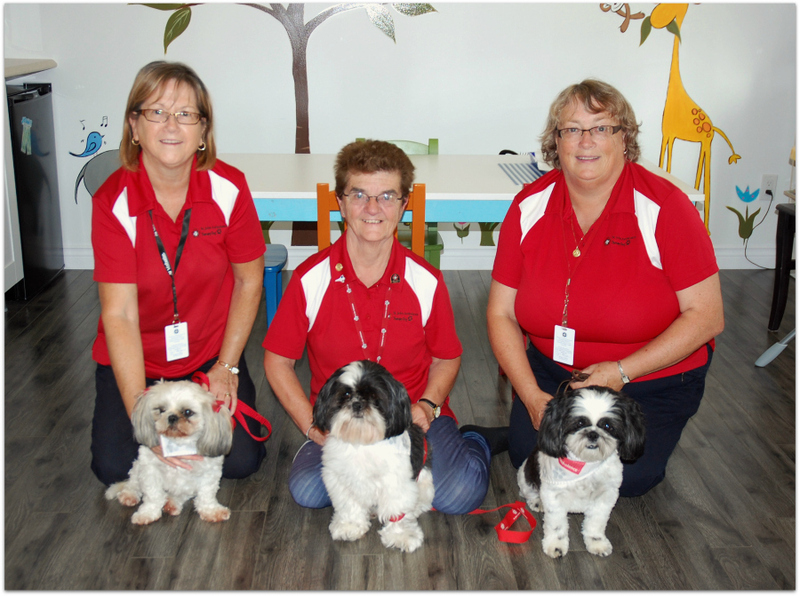 These dogs are busy visiting hospitals, schools, rehabilitation facilities as well as psychiatric treatment programs. Our children thoroughly enjoyed the affection and attention that the dogs showed them today, and we are looking forward to their visits becoming a regular part of our child-care program. This entry was posted in Special Guests by Julie B. Bookmark the permalink.